This seminar explores ways of defining art in order to argue that the existence of an artworld is crucial to both the practice and reception of art. Arthur C Danto, in The Transfiguration of the Commonplace, argues that art is defined not by reference to certain (physical) qualities of objects, the expression of ideas and emotions, or the ability to produce a certain sort of experience or way of seeing in the audience, but solely by its intimate link to history and theory in the artworld. This seminar treats art as a distinct sphere of activity in which artefacts and practices are defined with reference to an artworld. As such, it investigates the difference between art and non-art by offering a brief summary of philosophical attempts to define art, such as those put forward by RG Collingwood, William E Kennick and Moritz Weitz. It concludes, in line with Danto, that art is the transfiguration of things, which has pragmatic as well as intellectual consequences for artistic practice. Arthur C Danto, The Transfiguration of the Commonplace (Harvard University Press, 1981). Art is often thought to be about the so-called ‘human condition’, an attempt to tackle the continual problematic of timeless themes of love, death and persistence, but this understanding of art – either individual works or as a whole practice – needs to be subsumed under a theory in order to make sense. Existentialism is the philosophical study of what it is like to be in the world as a minded, free agent who is engaged in a continual search for meaning. This seminar proposes that by taking key existentialist notions from thinkers such Jean-Paul Sartre, Soren Kierkegaard, Friedrich Nietzsche and Martin Heidegger, we can begin to build a picture of artistic practice as both a reflection on and a critique of a universal human experience. It discusses themes of freedom, suffering and meaning to suggest philosophically rigorous ways in which we might get to grips with the commonplace idea of art as an edifying tonic for modern life. Jean-Paul Sartre, Existentialism and Humanism (Methuen, 1973). 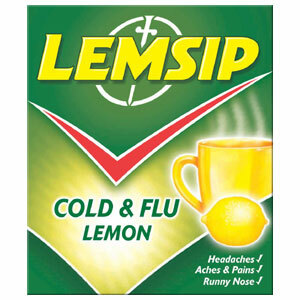 The elixir of life, if only I didn't so feel ill, have a trip to Wimbledon tomorrow . . .
Lots of arrow makig but only my phone to document it . . .